Conveniently located near the world’s fastest growing energy markets, the resource-rich and transit countries of Eastern Europe, Caucasus and Central Asia contribute significantly to world energy security. However, shared challenges across the region include aged infrastructure, high energy intensity, low energy efficiency, untapped alternative energy potential and poorly functioning regional energy markets.This publication highlights the energy policies and sector developments of Armenia, Azerbaijan, Belarus, Georgia, Kazakhstan, Kyrgyzstan, Moldova, Tajikistan, Turkmenistan, Ukraine and Uzbekistan during 2013-14 and provides a summary of key recommendations for policy makers in the region.Energy policy analysis is conducted in line with the INOGATE Programme’s four main pillars of energy development: energy market convergence, energy security, sustainable development and investment attraction. Started in 1996, the INOGATE Programme is one of the longest running energy technical assistance programmes funded by the European Union and works within the policy frameworks of the Baku Initiative and the Eastern Partnership. The INOGATE Programme co-operates with 11 Partner Countries to support reduction in their dependency on fossil fuels and imports, to improve the security of their energy supply and to mitigate overall climate change. It also supports the Eastern Partnership, a joint initiative between the European Union, EU Member States, and the Eastern European and Caucasus countries. 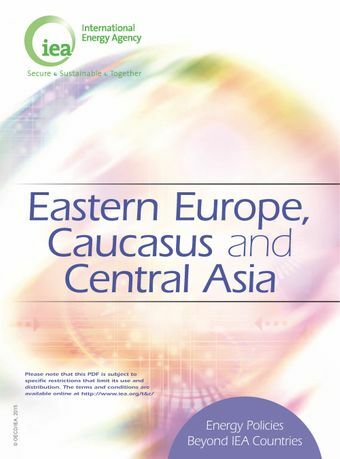 Launched in 2009, the Eastern Partnership aims at advancing political association and economic integration.This publication has been produced with European Union financial assistance provided through the European Neighbourhood and Partnership Instrument.